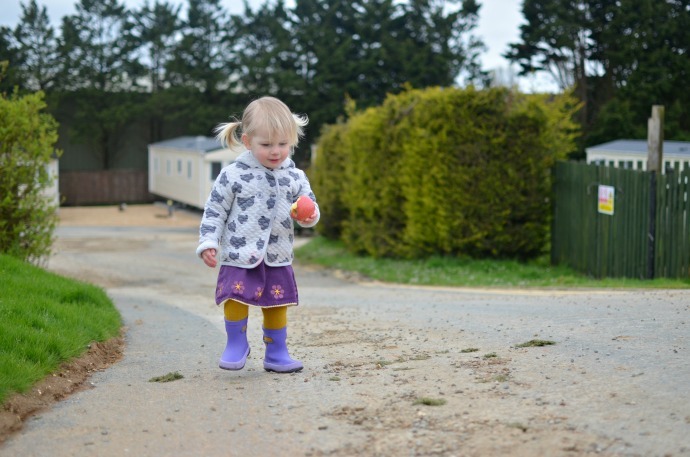 We have just come back from a weekend at Rookley Park on the Isle of Wight. Rookley Park is situated in Newport in the centre of the island which means you are never more than half an hour away from anywhere. 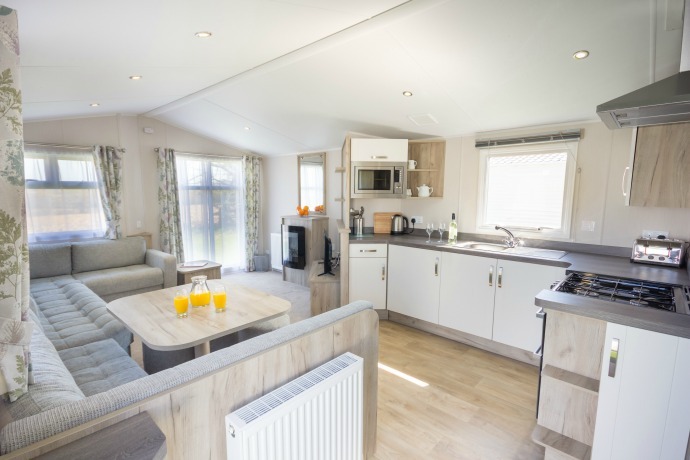 The holiday park has recently been taken over and is in the process of a huge revamp with the aim of making it the first luxury holiday park on the Isle of Wight. 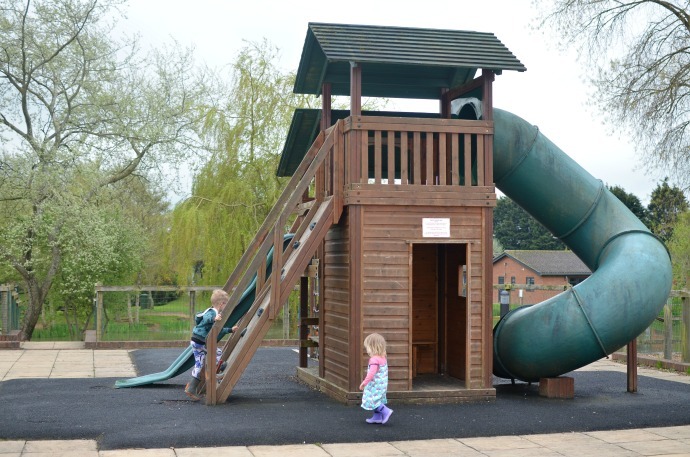 Our first impressions of the park were that it was definitely a work in progress and my children's favourite thing about the place was watching the diggers. They weren't disruptive or in the way and most of the renovations were either already done or planned for the future. 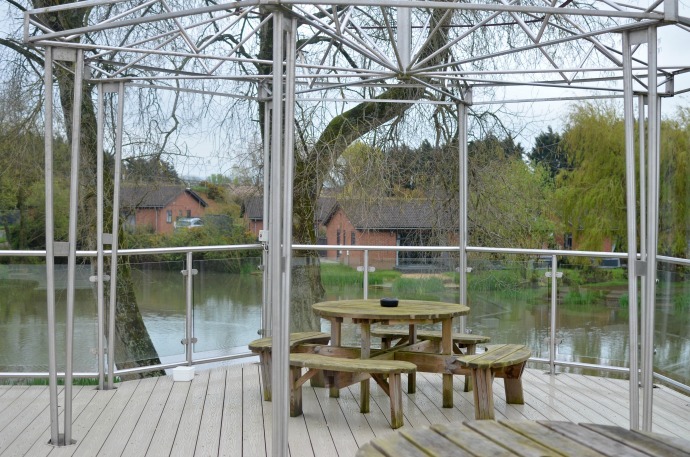 There is a variety of accomodation including lodges, cottages and caravans. We stayed in a three bedroom caravan a short walk from the main building. Our caravan was modern and clean with a spacious living room. 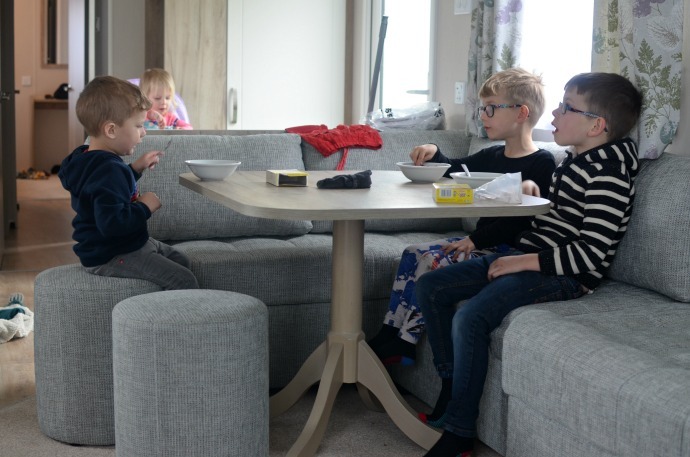 We often choose caravan style holidays as it means we can put the children to bed and still have a living area to stay up and have adult time in but as Cora is still so little and still in a cot, she had to sleep in the living room as there was no space elsewhere. We usually choose caravans with a decking area outside so we can sit out there but there was none available at this park. 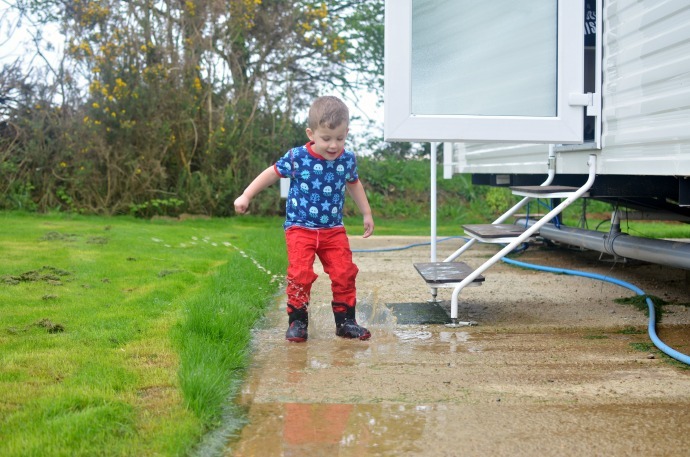 Unfortunately we visited the sunniest part of the UK just after a day of rain and the concrete area our caravan was situated on didn't dry out completely even two days later (ideal for puddle splashers but not great if you stupidly forgot to pack your own wellies and only have sandals!). 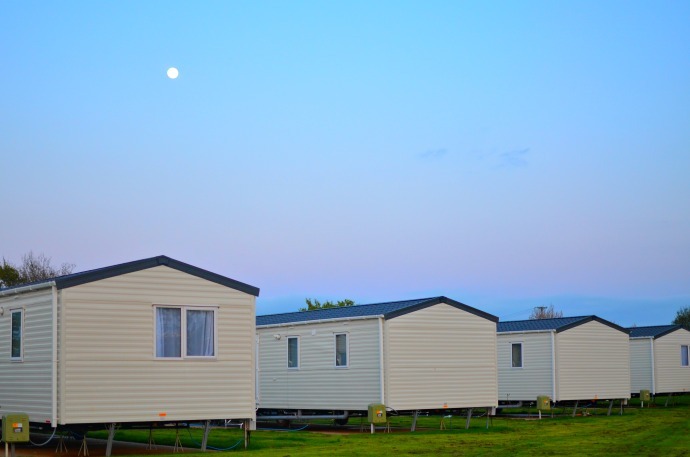 The grass had been recently mowed but there were clumps everywhere which made it difficult to keep the caravan clean. 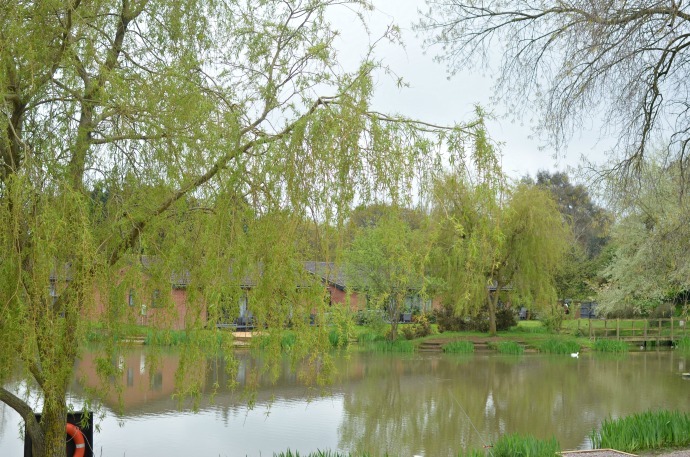 The park has a newly refurbished clubhouse with a bar, restaurant and function rooms. There was also a small arcade, an activities room where the kids clubs were held, an indoor swimming pool and a playground outside. 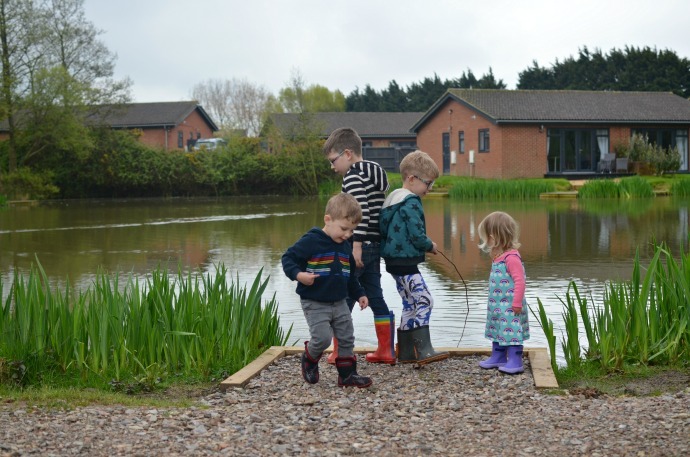 The park was situated around a fishing lake which was fun to watch although the children were very tempted to get stuck in when they saw unattended fishing rods! We did two of the activities that are charged as an additional extra. 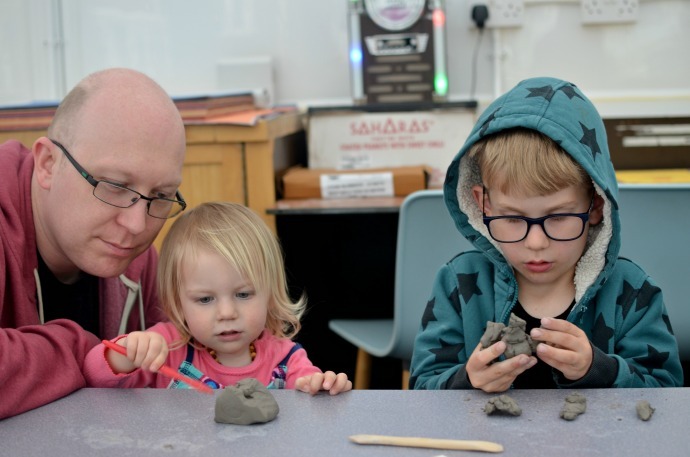 The clay craft was £4.50 per child and the children were each given a lump of clay to create into whatever they fancied. Both of my bigger boys took part in this but after about five minutes they had created their creatures and were done. Some of the older children seemed to be making much more intricate creations so I think this is one for the creative kids! The second activity we did was the tie dye which both boys loved. It was £7 each and they could take away the t-shirt or tote bag they had made for that price. 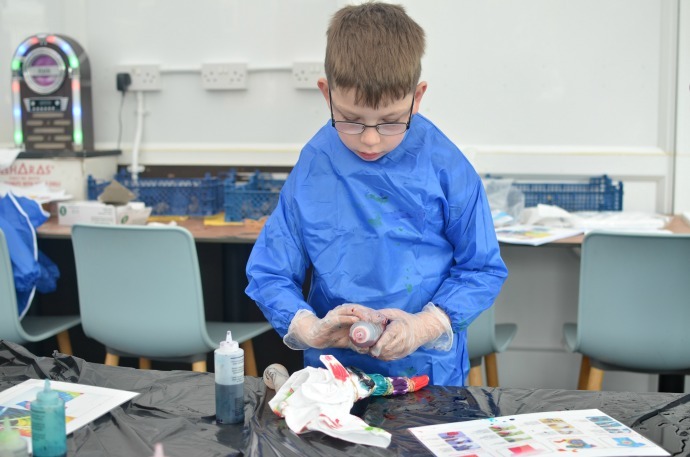 It was a very hands on experience and better suited for one parent to one child (which we found out after Archie covered his clothes in fabric paint!). 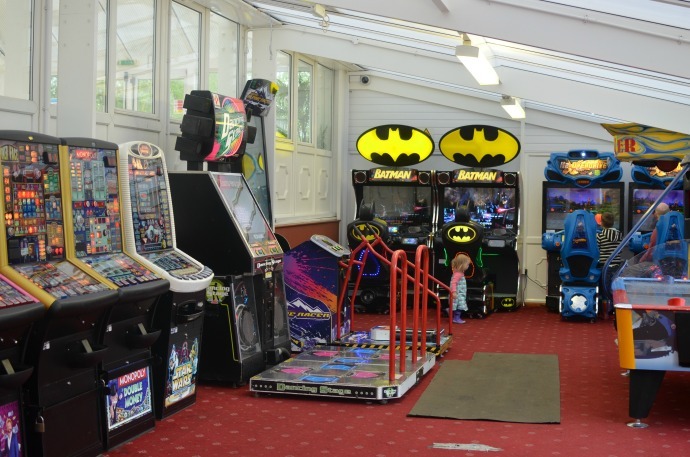 The arcade room is in need of some updating and there was nothing for little children like the 2p machines. For older children there were driving machines and a couple of the grab a toy ones. 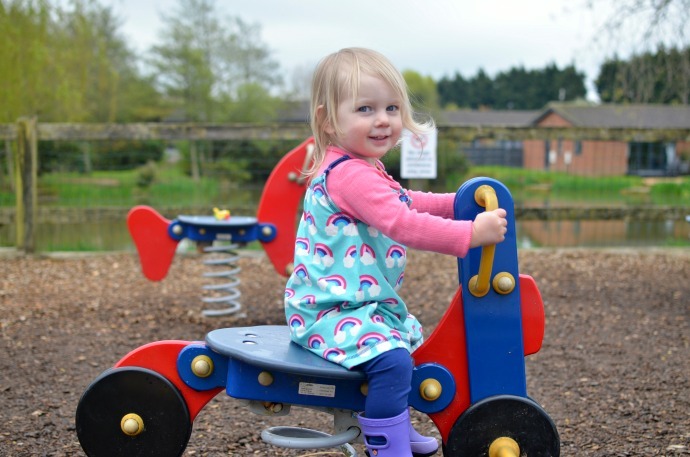 The playground outside was definitely aimed at over 3s, however there were 3 rockers out there too which Cora loved playing on. The swimming pool looked clean and every time we went passed it was empty. 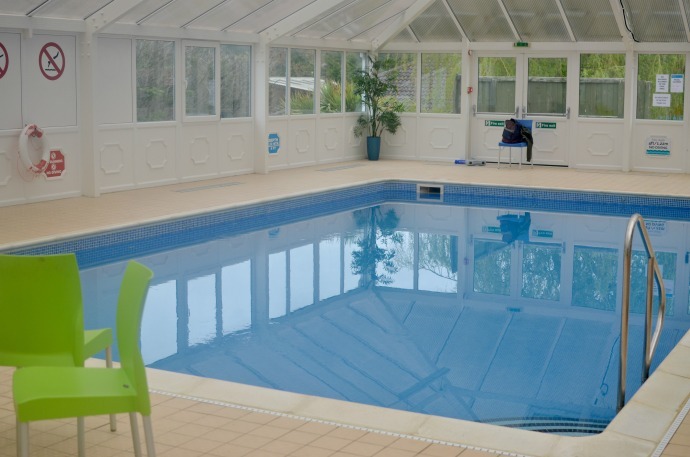 We didn't manage to try it out as we do struggle to take all four swimming but for anyone not crazy enough to have 4, it was centrally situated and open from 9am until 6pm every day. On the Saturday night there was a children's disco in the entertainment lounge and it was one of the highlights of our stay at Rookley park. There were games like musical bumps and statues where prizes were given out for the best statue or the fastest bump rather than children going out which we loved as it was really inclusive for the smaller ones. We could order meals and drinks in the room and the children loved it. There was evening entertainment at the bar each night with vocalists and musicians which started at 8pm in the main bar. We loved that Rookley Park made a great base for exploring the island and we spent an afternoon at Carisbrooke Castle and a day at Blackgang Chine (Post coming soon). The Isle of Wight is such a lovely place with so much coast and natural beauty and we will definitely return there. 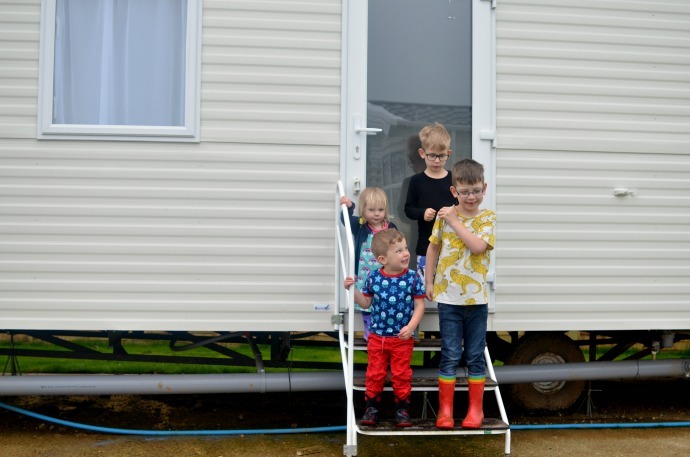 Rookley holiday park grew on me during our stay, but I would say that there wasn't a lot for under 3s and the park does need more work to be at the standard they are hoping to achieve. I am looking forward to watching their progress! Terms & conditions: Online bookings only. For new bookings only. Subject to availability. Cannot be combined with any other offer. For stays at Rookley Park only. Valid for stays between 1 June 2018 and 31 August 2018. Must be booked by 31 May 2018. Offer code TMA20 must be quoted with booking. These terms may change at any time without notice. We were provided with our accomodation and ferry crossing in exchange for our honest opinion.